Danielle Watson is a TEDx speaker, author and host of the Danielle Daily Show. Her book, Dear Self, I Love You! Keep Going & 365 Inspiring Notes from My Bittersweet Year of Heartbreak and Healing, reveals the raw pain of loss, the beauty of an unexpected love and the power of being ok with things not being ok. 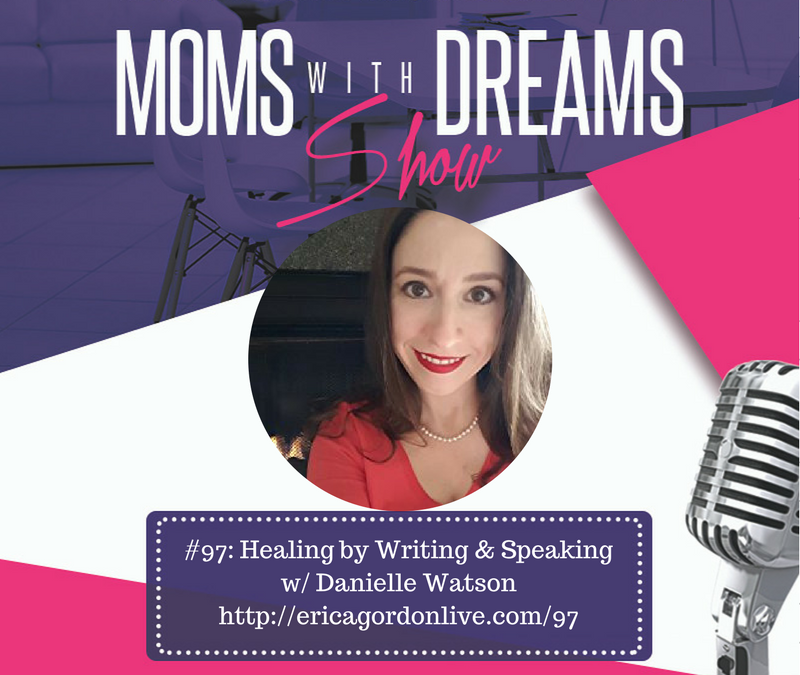 In this episode, Danielle shares her journey of healing through writing and why she calls herself an accidental author. She opens up about a personal experience that taught her the lesson of being ok with things not being ok and how her perspective shifted as a result of her experience. For the introvert in you who aspires to become a speaker, Danielle talks about how she manages and shares some of her success strategies to get prepared and energized to take the stage. As a fellow introvert, I can both relate to what Danielle shares and appreciate her strategies. I hope you enjoyed this episode and got something that you can apply in your life. If you’re looking for support in any area of your life, I am here to be that just for you. I’d love to hear your challenges, where you are in your life right now and where you’d like to go. You can email me directly at Erica@momswithdreams.com or leave a message in the comments below. Until next week, reclaim your dream, do what you love and make a difference.